Jonathan Yabut who emerged as Asia's very first 'Apprentice' in the recently concluded reality business show on AXN gave his inspirational message to all the Filipinos during the Season Finale Party held at Hyve, Global Center, Fort Bonifacio, Taguig City. Yabut emphasized that many Filipino talents are wasted because they were not given the proper platform. He said that it is the reason why he joined 'Apprentice Asia' and for him the show is the best platform. "This victory is for each and every Filipinos out there. You can never be small to dream big because dreams are for free and for all of you out there to catch it and seize it while the iron is hot. This victory is for the Philippines and the rest of Asia. ", Jonathan Yabut said. Yabut also expressed his gratitude to Celina Le Neindre, Filipino co-contestant for her support to win the competition. 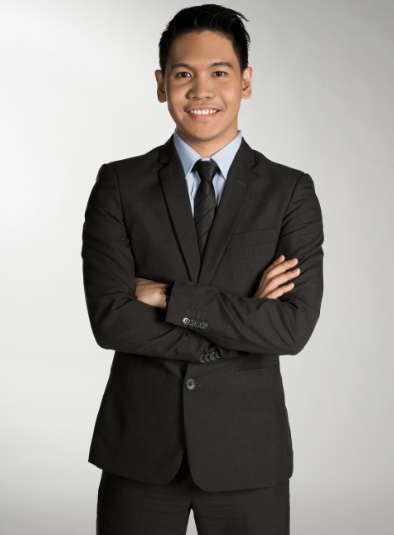 The Filipino food and beverage consultant, Celina admired Jonathan for his passion, confidence and dedication. Before the finale party, Celina said that we can expect a lot of Pinoy pride moments in the conclusion of the said show. "You know I’m half-French, but I realize, oh my God, I’m so Pinay. Because naturally, I want my fellow Filipino to win", Celina said. According to Jonathan picking her in his team at the final task is a strategic decision. He said that it shows Filipinos are always there through thick and thin. At the end of his very inspiring speech, he said: "This is not about me, it could have been anyone but the question is, what it brings out and for me it's the inspiration. In the end, inspiration sparks hope, hope sparks action and action sparks change". Watch the inspiring speech of Jonathan Yabut at the Apprentice Asia Season Finale Party. Video courtesy of Ted Claudio via Youtube.